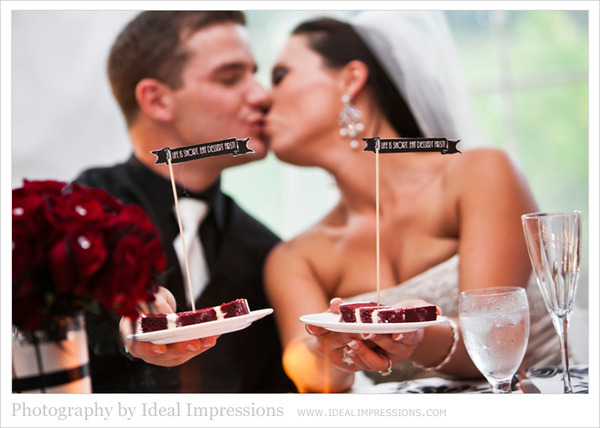 Kristal & Rob wanted to get creative with the printed pieces for their wedding. We were so excited to work with them throughout the entire process! They were planning a 1920s art deco-inspired wedding and wanted all of their printed communications to play into that theme. Together, we came up with a style that was classy & elegant, with a bit of a modern twist. You can check out their creative "telegram" save-the-date postcards in this previous post. 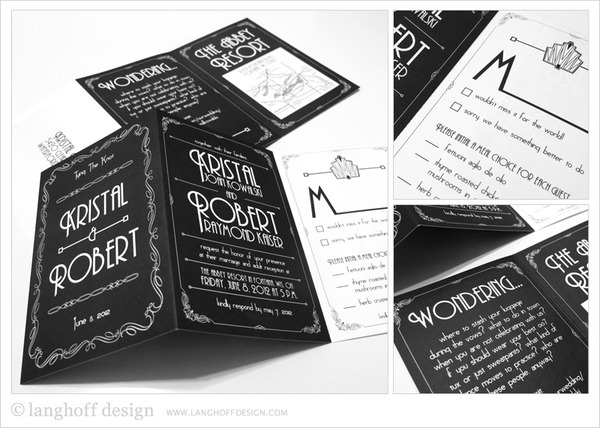 Above are a few shots of their z-fold wedding invitations. The design was fun and functional: the white section was a tear-off response card. This process also included the design of the rehearsal dinner invitations, ceremony programs, ceremony seat signs, reception place cards, various borders to be used on clever little memos, cake flags, and even the thank you cards. I love when everything is tied together so nicely! Kristal & Rob, your wedding was absolutely gorgeous. So happy we had the opportunity to contribute in a small way. Congratulations on your marriage!